The layout of the browser/internet/chromium slide in the slide show is broken: text and image ar both aligned to the right, producing something unreadable. Using german localization if that makes any difference. Weitere Informationen finden Sie auf der <a href="http://sites.google.com/a/chromium.org/dev/Home">Chromium-Webseite<a>. 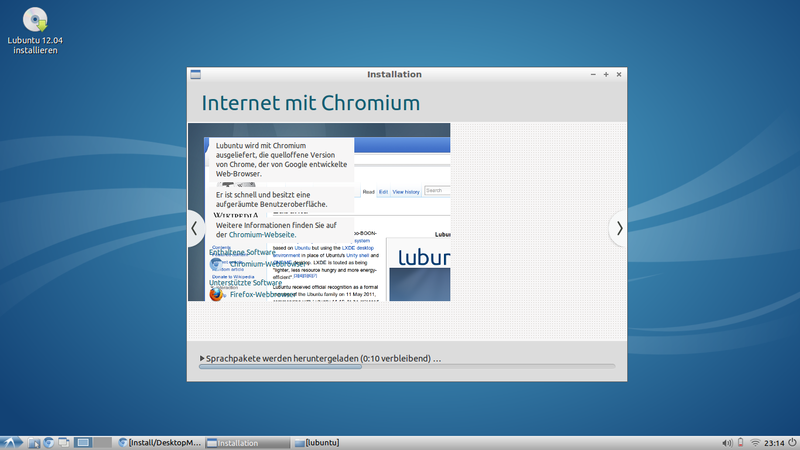 Weitere Informationen finden Sie auf der <a href="http://sites.google.com/a/chromium.org/dev/Home">Chromium-Webseite</a>. I proposed a fix on Launchpad. This won't be on time for 12.04, but maybe 12.04.1, if that happens. Assigning to me as I'll be doing the upload.